Run. Wine. Liv. 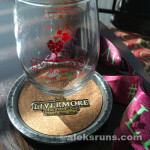 is the motto of the Livermore Half Marathon. 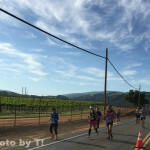 With a course rolling through beautiful wine country and with a big wine tasting festival at the finish, I’d say that’s a good way to describe the experience! 2. Run as fast as I can and find out whether (and by how much) my speed has improved since my last half (the SF Giant Race in September ’14). Sushi for dinner, obviously. 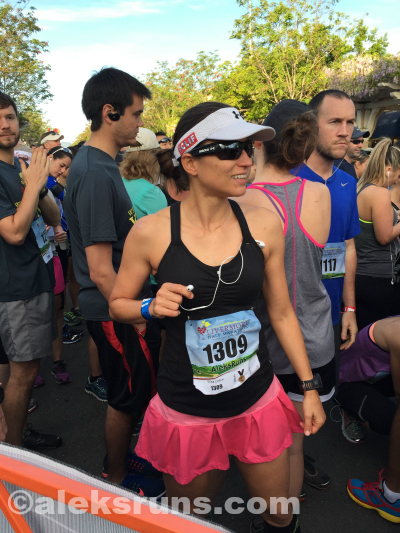 But more important was picking out a race outfit that is both light, comfortable, non-chafing and pretty. 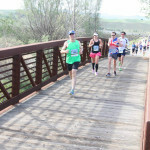 It was my birthday weekend of run-fun, after all! After much deliberation over which skirt to go with from my continually-growing Skirt Sports collection, I settled on the Lioness in Flirt, my black Kelly Support tank (bonus: it has a built-in bra, so less stuff to wear), and black compression socks. Do I look like a Runner Girl About to Have a Run-Fun Birthday Weekend? Yes, I do. 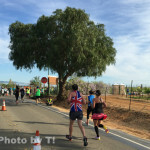 The best thing about RunLiv is that it’s a fairly small race – 2,800-ish finishers this year – so the logistics of getting there and parking are easy. Better yet, it’s a looped course. We arrived about an hour before the race start Saturday and parked a two-minute walk from the start/ finish line with no traffic issues whatsoever. 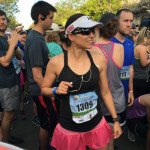 A cute little coffee shop – Panama Coffee House – was open and the runners were living it up with some high-quality java and a posh clean bathroom. And for those not wanting to wait in line for the facilities, there were plenty of porta-potties right outside. 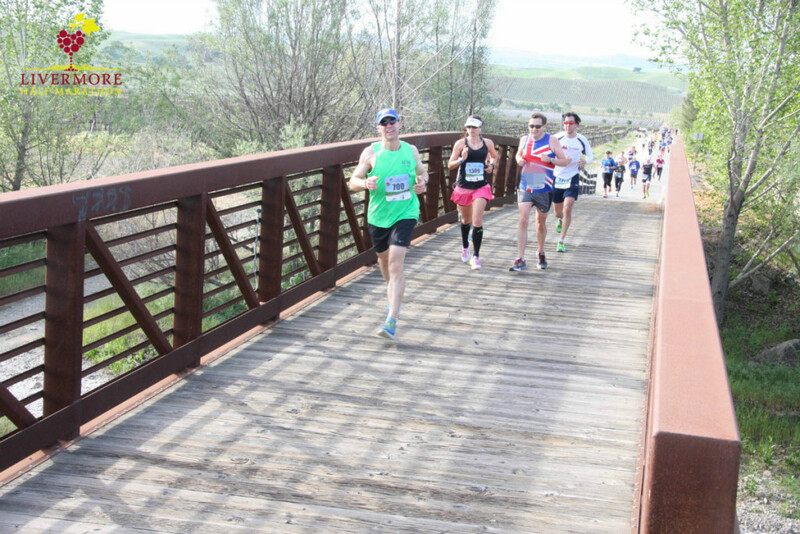 After an easy 10-minute warmup (per coach’s orders), I lined up at the start, right next to the 1:45 pace group. I asked the guys what their strategy was: run steady? negative split? They said they were shooting for steady, to which I noted, Oh Cool, I will try to keep up, but you guys will probably be too fast for me. Don’t wait up! So we started. The first couple hundred yards were a bit congested, so our pace was quite a bit slower than the 8:00 min/mile needed for a 1:45. 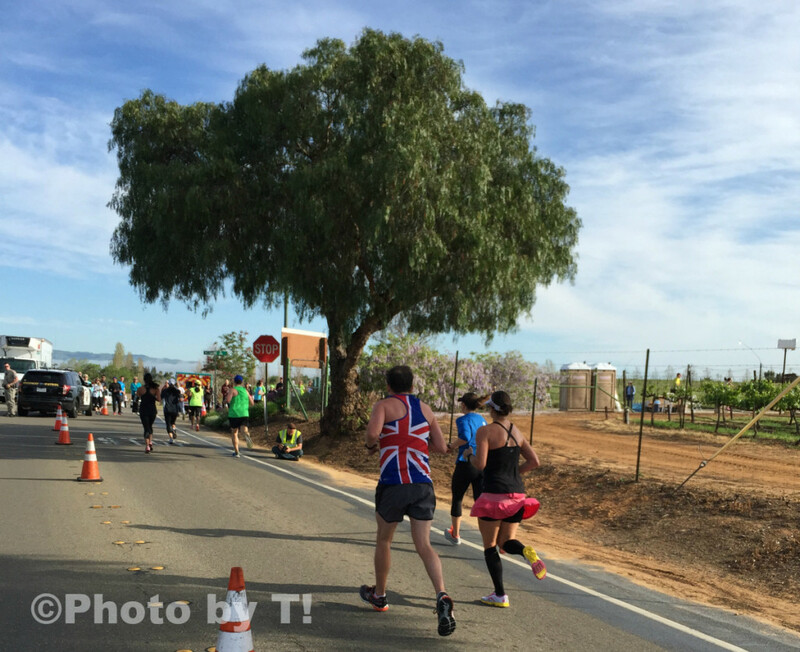 We made up time after the crowd spread out and during the second mile, which was relatively flat. 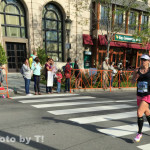 I ran right behind the pace group, thinking, This feels nice! I wish the whole race was like that! Right after that right turn you can somewhat see in the photo is the start of the biggest climb of the entire race. This thing felt like it was a mile long. Maybe it was? 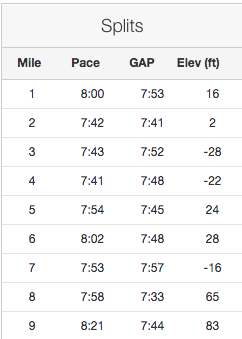 Strava says we only climbed 83 feet between Miles 8 and 9, which I absolutely refuse to believe is true. Or, maybe I was getting tired. I did not like that hill. The last three miles were so hard. 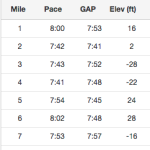 I feel like Strava needs to add a second dimension for distance, just like they have one for pace (the first column is actual pace and the second is and GAP, or grade adjusted pace, which factors in hills and gives you the equivalent pace for running on flat). The EAD, or effort adjusted distance, would factor in your heart rate and shrink or expand each individual mile based on how hard you’re working for it. My last three miles felt at least two miles long each. 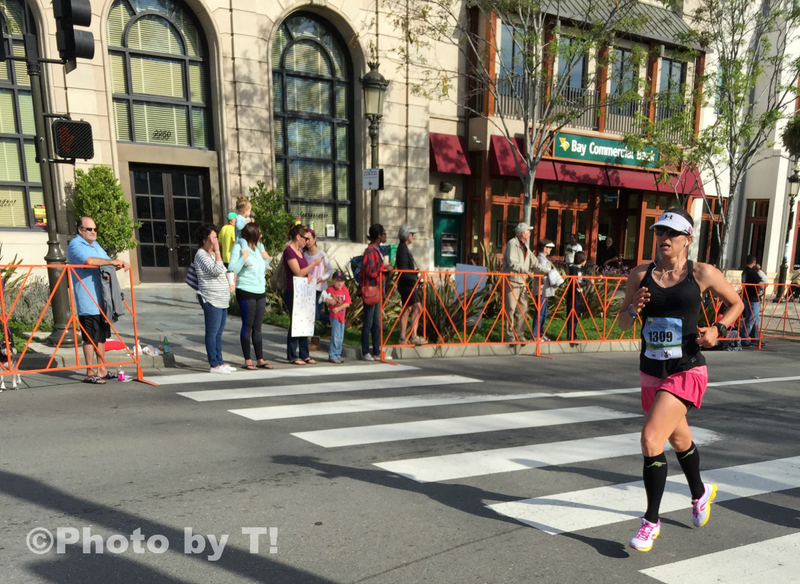 So when I finally turned the corner to the finish line — and realized I was going to run 1:42-something, after all! — I mustered what little brain power I had left and sprinted to the finish. But a cold beer awaited right by the Finish line – and that was the best! 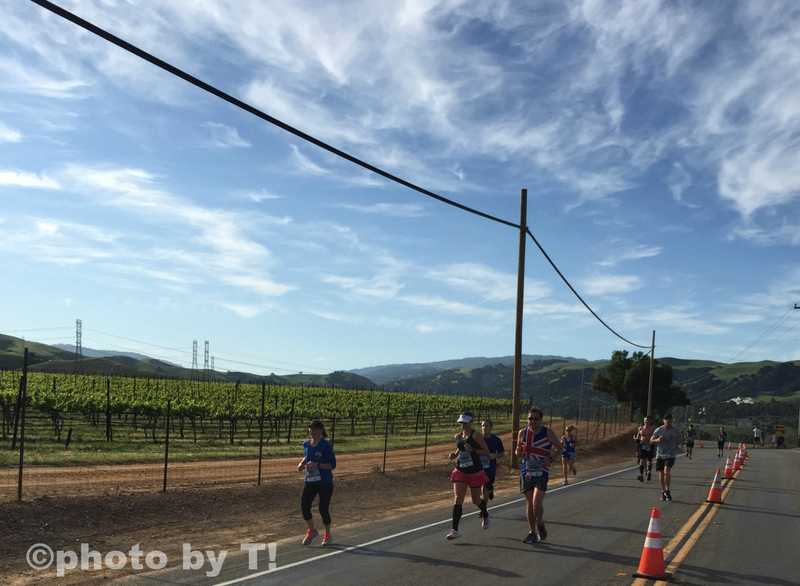 ← Race weekend and a training update!